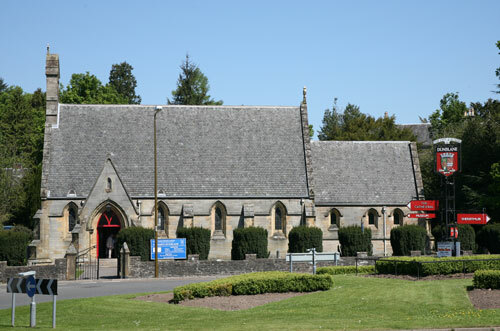 St.Mary’s is located at the Fourways Roundabout on Perth Road in Dunblane. Free parking is available on both sides of Perth Road south of the Fourways Roundabout. On Sunday mornings, we may also use the car-park at the India Gate restaurant across the street. To access the hall, enter the main gate and walk around the church to the left.